Born at Hebron, Nova Scotia on 10 April 1884, he came to Manitoba around 1900 and taught at Ninga School (?-? ), Miami School (1907-1909) and Pilot Mound School until 1911, when he was appointed a School Inspector, serving until retirement in 1949. Then, he became the first Superintendent of Schools in St. James, serving until 1956. He collaborated in the writing of two books: Boys and Girls Around the World (with D. J. Dickie) and The English People (with Dr. Robert Jones, 1931). On 28 December 1905, he married Olive Blanche Mulvin (1886-1979) at Brandon. They had two children: Joyce Aileen Parker (1907-?, wife of R. H. Davis) and John Mulvin Parker (1918-1974). 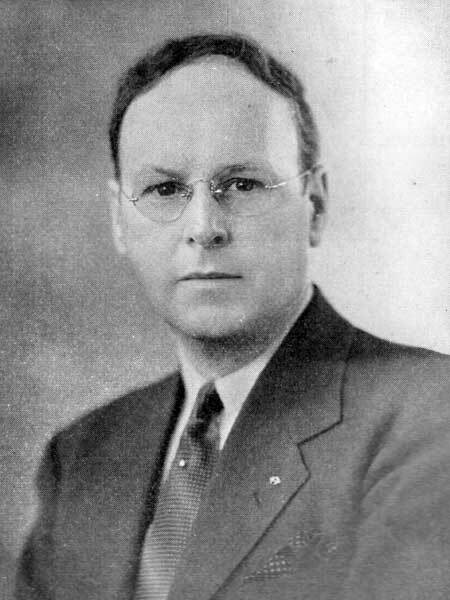 He was a member of the Shriners, Manitoba Red Cross, Manitoba School Trustees Association (Life Member), and Manitoba Educational Association (President, 1942-1943). He retired to Victoria, British Columbia where he died on 22 March 1981. Report of the Annual Convention, Manitoba Educational Association, Easter 1942. “3 Manitoba School Inspectors mark 100 years of service,” Winnipeg Free Press, 14 December 1944, page 12. “Birthdays,” Winnipeg Free Press, 10 April 1978, page 48. Death registration [Olive Blanche Parker], British Columbia Vital Statistics. Obituary, Winnipeg Free Press, 27 March 1981, page 40.